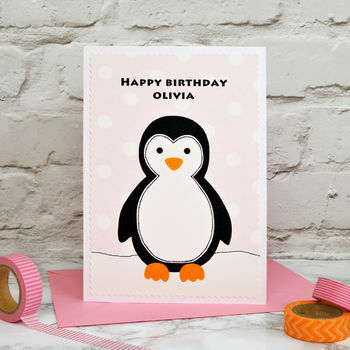 Penguin personalised girls birthday card from Jenny Arnott Cards, great for a special daughter, granddaughter, niece, sister, cousin or goddaughter on her birthday. 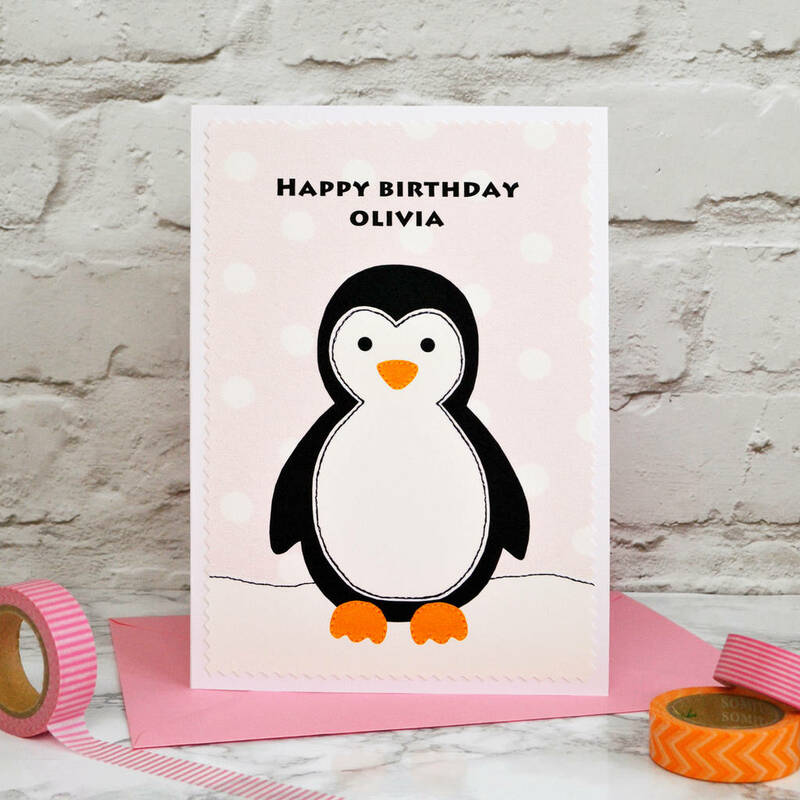 Suitable for children of all ages, these lovely large A5 sized personalised animal birthday cards feature a sweet little penguin in the snow with a pale pink spotty background. Have a cool birthday Jessica! Happy Second Birthday to my cheeky little cousin Sia! Happy Birthday to the best Mummy in the whole world! 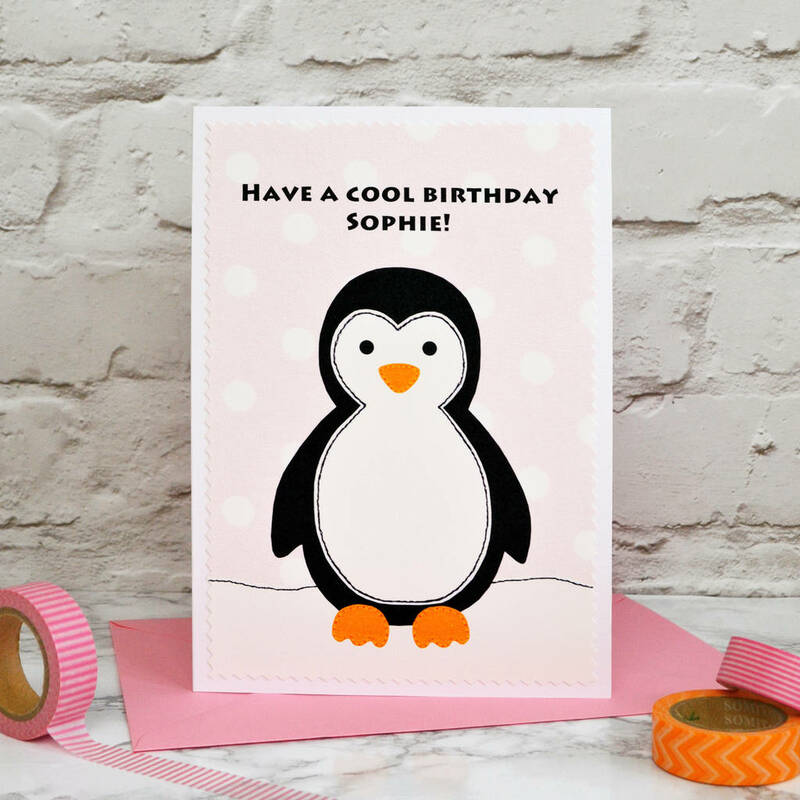 I also do a blue version of this penguin birthday card for boys - please click on the 'see seller's whole range' link to see my entire range of personalised birthday cards. This lovely printed childrens birthday card is handmade by Jenny Arnott Cards & Gifts. 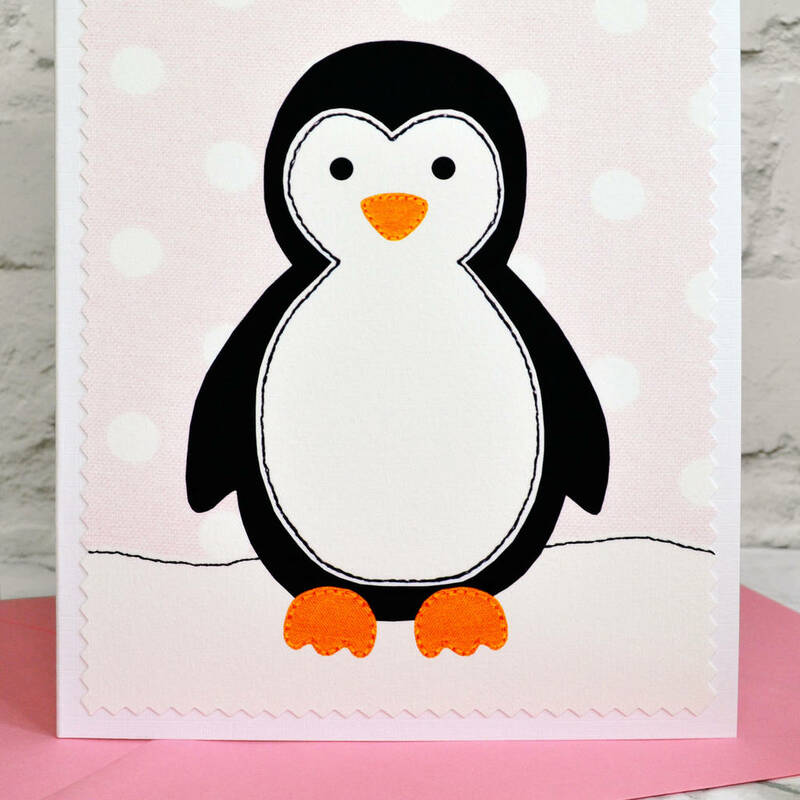 The print does retain some fabric textures which were used in the design, however the card is not actually fabric but is printed onto thick artisan paper, trimmed with a zig zag edging and adhered to a 350gsm textured white card blank. The card comes with a pink envelope and is sent by first class post, protected in a clear cello wrapper and sturdy board backed envelope.